. The Chinese have been drinking green tea for thousands of years due to its miracle working abilities. Green tea has been used by the Chinese for treating minor headaches to much larger matters such as preventing cancer. Many health studies are beginning to shine some light on the facets and benefits of green tea. What are the benefits from green tea that can affect your life? The following are five major benefits of green tea that may substantially change your life. The high concentration of polyphenols in green tea helps to oxidize fat and encourage thermogenesis. Thermogenesis in the body is the rate which the body burns calories. Green tea results in an increase of energy which raises the metabolism, therefore, more weight is lost than normal. As a morning beverage, green tea has a small amount of calories compared to most other beverages that Americans drink in the morning. The constant barrage of coffee as most peoples’ morning beverage results in a higher amount of daily calories compared to green tea as a beverage in the morning. A substitution of green tea instead of reaching for a cup of joe will make a big difference in the size of your waistline. The antioxidants in green tea eliminate free radicals that plague the body. These free radicals cause aging and cancer. The polyphenols of green tea constantly search for free radicals and they prevent the formation of unstable oxygen molecules in a process known as oxidation. This oxidation damages healthy cells of the body and have been linked to illnesses like cancer, heart disease, and even strokes. The polyphenols in green tea prevent the birth of abnormal cells, inflammation, and destroy most cancer causing agents. Green tea is well known for keeping teeth clean because of one of its ingredients, fluoride. The fluoride kills the bacteria in the mouth that causes plaque. 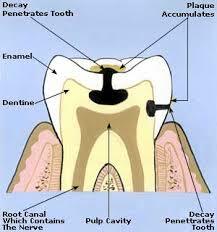 Also, fluoride helps to maintain healthy, cavity-free teeth. 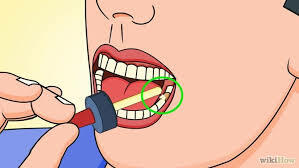 This helps to prevent general tooth decay inside of the mouth. This cannot be about coffee which stains the teeth with an ugly yellow tinge. The oral health of teeth can be vastly improved with the consumption of green tea. Green tea may be a possible solution for all those suffering from conditions of high cholesterol. Heart attacks are one of the most common problems associated with bad cholesterol. Drinking green tea could possibly lower this stunning high risk. Green tea lowers the bad cholesterol’s levels, LDL cholesterol and prevents the occurrence of blood clots in the body. The LDL cholesterol flows through the liver and cells forming heavy deposits on artery walls. The catechins in green tea help to decrease the amount of bad cholesterol. Also, the catechins help to maintain a healthy good cholesterol to bad cholesterol ratio improving the overall health of the body. If weight loss, the prevention of cancer, healthy teeth, and the idea of low cholesterol does not give you an idea that green tea is a miracle worker, you must be working with some pretty powerful magic. A couple of cups of tea in addition to your normal daily beverage will greatly decrease the risk of any bad conditions. The only side effect that has been clearly recognized is the daily overdose of caffeine. This problem has been addressed through the usage of green tea extract. Green tea can be taken in a pill form with all the benefits of normal green tea. So, we hope that you begin a daily green tea regimen tomorrow!